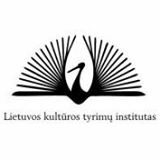 On May 5th, 2018 the 17th Republican conference on aesthetics and art philosophy “COMPARATIVISM, GLOBALIZATION AND CHANGE OF CURRENT AESTHETIC AND ARTIFICIAL PHILOSOPHY DISCUSSIONS” is going to take place in Lithuanian culture research institute (Saltoniškių g. 58, Vilnius). Applications with summary must be submitted due to April 25th, 2018. During the conference the Vice-President of the Global Art Critics Association, Akita International University of Tokyo, Prof. Hidemichi Tanaka will be reading a report. Contacts: mob. : 8 698 13124, e-mail: ernesta.paupliene@gmail.com.